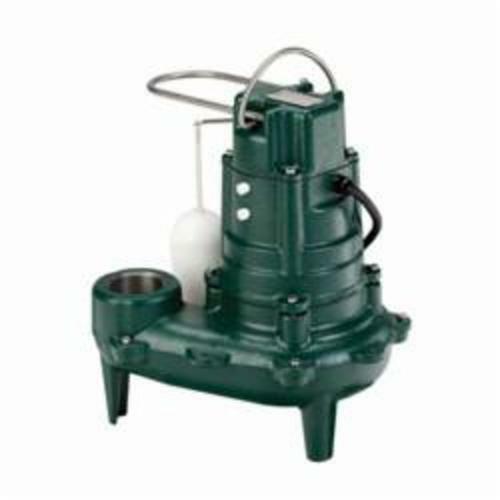 Considered one of America's most popular sewage ejectors, this robust family of pumps is known for reliability, durability and performance. These pumps are industry proven, built of cast iron with stainless steel hardware. The integral, preset snap- action float switch is engineered for one million mechanical starts. The heat-dissipating cast iron body with powder coated epoxy finish provides maximum pumping performance under the most extreme conditions. With a cool run design, the hermetically sealed, oil-filled motor and non-clogging vortex impeller add up to a long lasting, trouble-free product.